Chia seeds are all the rage these days, and if you know anything about them, it’s pretty obvious why! Here are 7 reasons chia seeds are magic, and why you’ll start adding them to everything you eat! Appetite suppression could obviously be very helpful in weight-loss efforts! Chia seeds retain 10 times their weight in water, so when they get wet, they expand and form a bulky gel, helping you feel fuller faster! Also helpful in weight loss, chia seeds can help curb food cravings by preventing the body from absorbing some of the food you eat. This also means your body absorbs less calories than it would without chia seeds! Since chia seeds retain incredible amounts of water, many athletes add them to their diets to help them stay hydrated. Omega-3 is the fat that helps prevent certain ailments such as arthritis and heart disease. Especially with the recent Fukushima crisis robbing us of a major source of fish for consumption (which is a main source of Omega-3), chia seeds are a great way to get these vital fats in your diet! Since chia seeds slow down the body’s process of converting carbs to sugar, and help reduce the amount absorbed by the body, chia seeds can be great for controlling blood sugar. 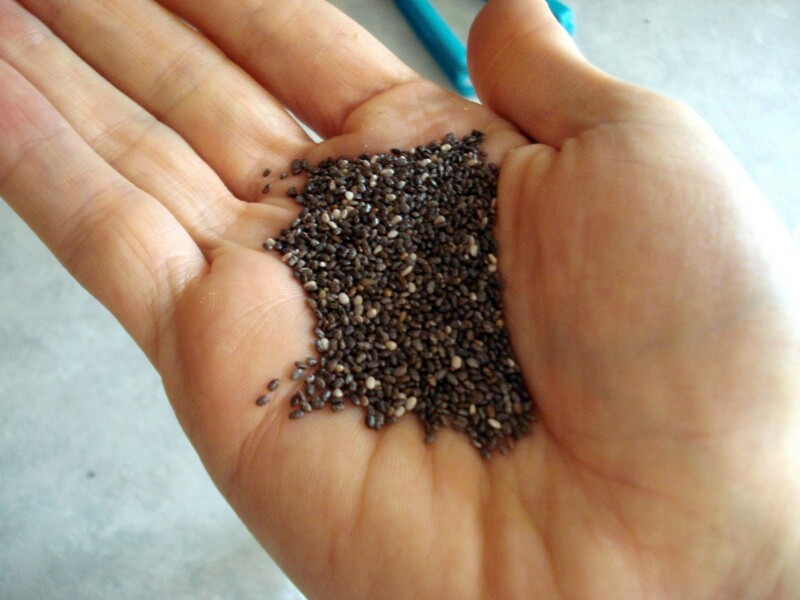 Chia seeds are easier for the body to digest than flax seeds, and also contain more protein than flax seeds! I put chia seeds on my egg every morning! Other popular ways to sneak them into your diet is adding them to smoothies, water or juices, yogurt, salads, oatmeal, granola, flour, or using as a thickener for anything. They have no taste, and add a great crunch or tapioca texture, depending on what you add it to!